No doubt iPhone X has the most excellent camera and provide high-quality photos and videos capturing options. You can surely choose iPhone X if you want to get superb camera pixels. The plus point is that you can take advantages of different camera accessories for iPhone X. These camera accessories are primarily built for iPhone X and allow you to use the camera efficiently. These accessories are used for different purposes to support camera quality and use. In this article, we are providing you complete details about the top iPhone X camera accessories in 2018. 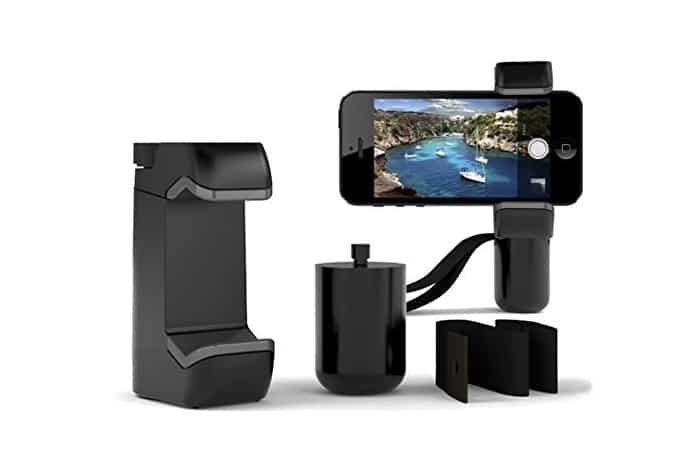 In below, you can read complete details and can choose multiple accessories for your iPhone X.
Joby Magnetic Tripod comes with a fine design that is enough to set your mobile on it and take pictures of different things. Its feet are magnetic which provides complete support to this accessory, and your iPhone X is safe on it. 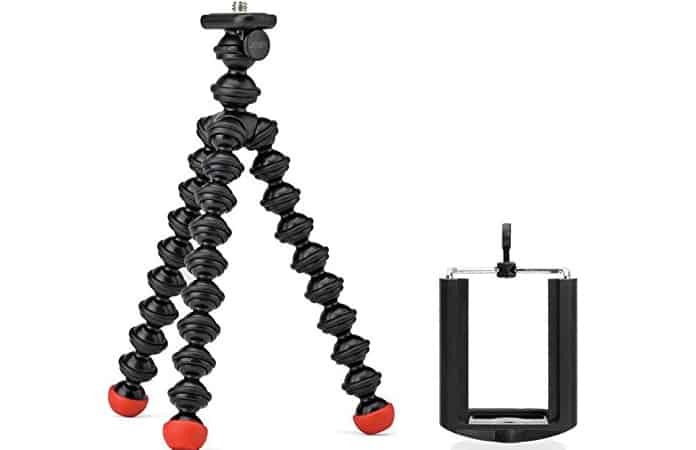 You will set your mobile using lock ring of Joby Magnetic Tripod which holds your mobile for you. This is a fabulous accessory allowing you to take photos and videos with your families and friends. This tripod allows you to use its quick-release clip to remove your phone easily without much effort. Its price is $22.99. 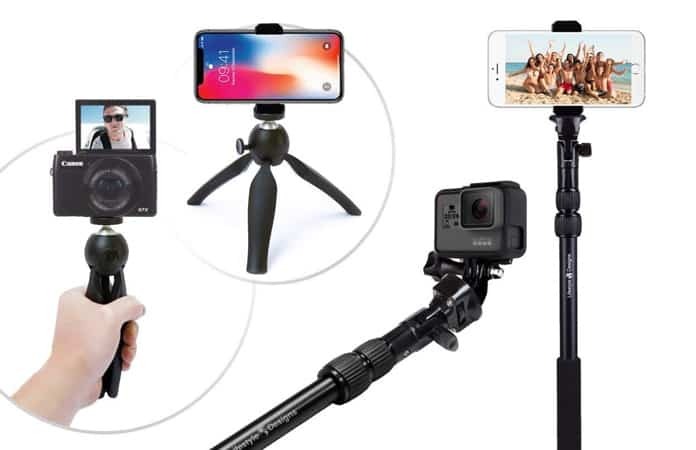 MeFOTO is another tripod which is useful for your iPhone X. 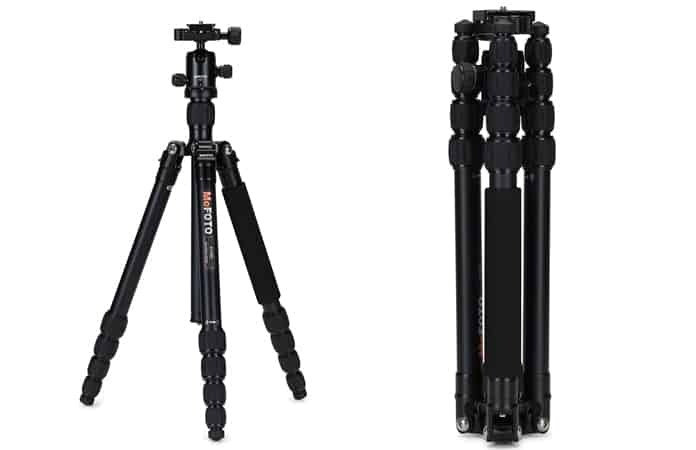 It is the great tripod for traveling purposes, and you can take it with yourself anywhere. Its design is attractive and provides complete support for your mobile. You have different options when you are using this tripod. You can lock its legs at two different angles precisely according to your current requirements. You will surely get perfect stability to get a great experience. Its cost is $148. 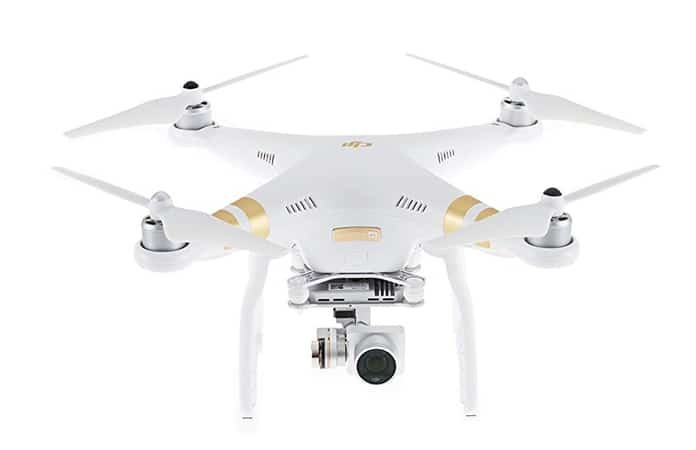 DJI Phantom 3 can be considered as your best partner for traveling. This is a drone which allows you to capture the videos at 4K UHD. You have complete control of the camera of your iPhone X to capture different amazing scenes from a definite height. You are allowed to use its iOS app to control the flight of the camera. Its battery is also super, and you will get additional time for the flight using this drone. Its cost is $459. 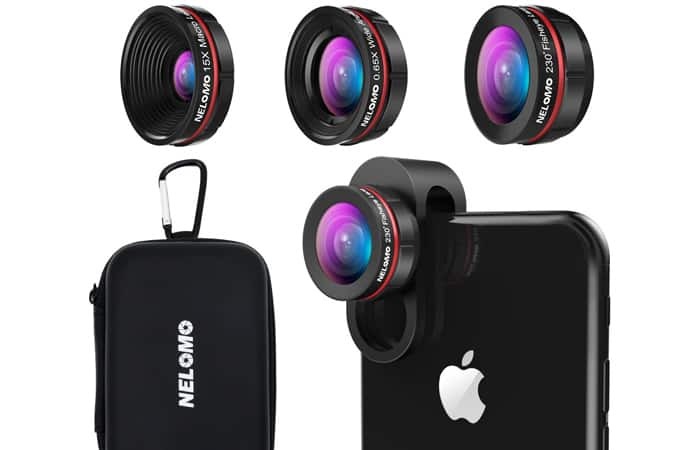 NELOMO is a nice lens kit for your iPhone X camera. You can see crisp photos using this kit. It comes with the 0.65x super wide-angle lens, 230-degree fisheye lens, and 15x macro lens. Its 15x macro lens is enough to provide you enough zoom when you are capturing different photos. 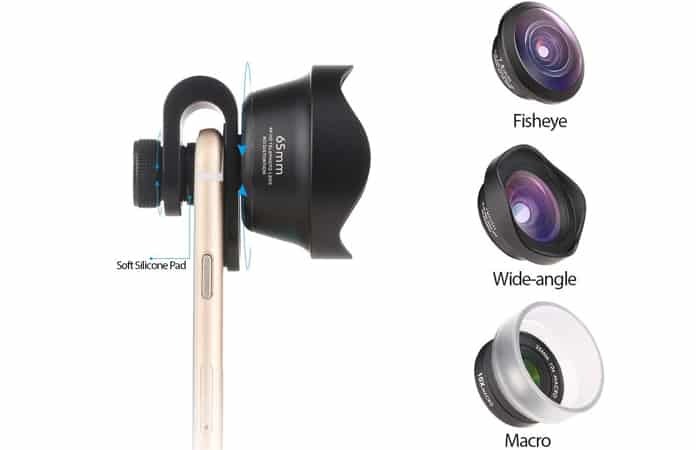 Additionally, other lenses of NELOMO kit enables you to use your iPhone X camera just as you need. You can take advantage of high quality and zooming options of a different lens. You can surely decide to but this kit which comes with the guarantee of 18 months. Its price is $27.99. You can consider Shoulderpod S1 as a perfect tool which you can easily use to take photos using your iPhone. Its best thing is that you can use three different functionalities having this camera accessory. These three functionalities include its use as a tripod, traveler stand, and filmmaker grip. You can use its pressure-screw to set your mobile on it in a fixed way. You can use this for various types of mobiles which have the width between 48 mm and 93 mm. You can buy Shoulderpod S1 at the cost of $39.88. 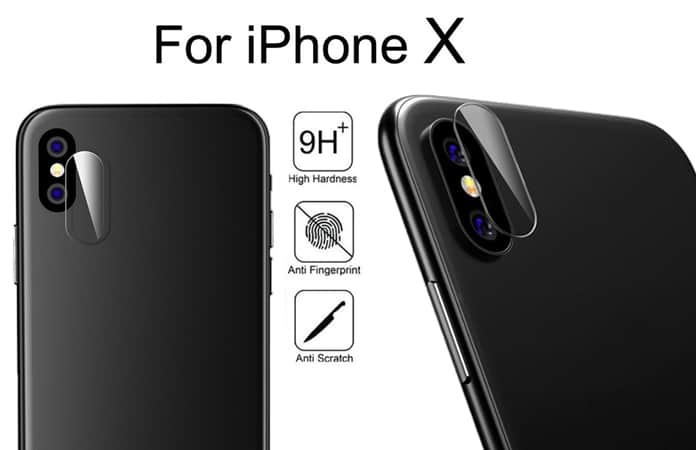 CamKix will be a great addition which can increase the quality of the iPhone X camera. 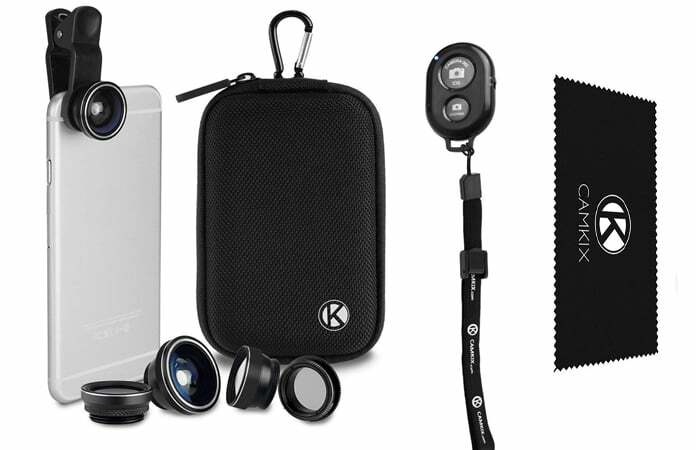 It is a great kit which allows you to capture high-quality pictures in a fast manner. You can use this kit even if you are 30 feet away from your device. It means you have complete and easy control of the camera. You can use this CamKix on your iPhone and Android phones. It comes in a reliable design and multiple colors. You can buy this camera accessory at the cost of $8.49. AMIR is a camera lens which increases the efficiency of your mobile camera. This kit of the lens comes with 180° fisheye lens, 0.4X wide-angle lens, and 10X macro lens. These different kinds of the lens are used exactly according to your needs. These different lenses within one package are used to capture different kinds of pictures which are not possible with an ordinary camera. The cost of AMIR starts at $25.99. This camera lens kit is amazing which are used to increase the quality and zoom in features of your iPhone X. 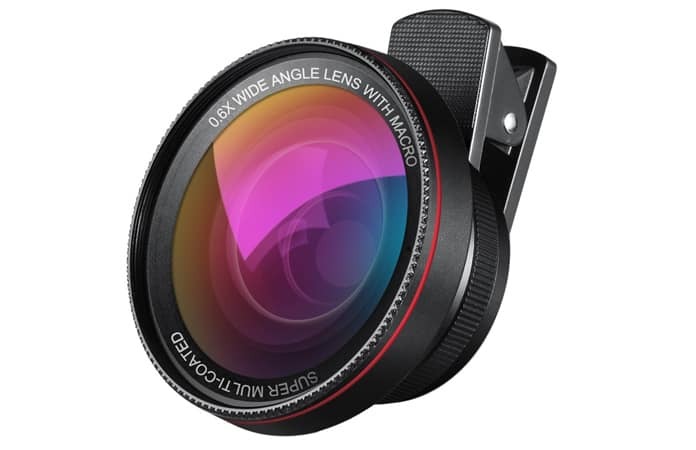 This add-on lens attachment is made of high-quality glass and comes within the metal frame. You can use this lens accessory to capture a wide range of photos for you anywhere. You can buy it from Amazon and its price is only $87.99. Power Bank which is also called an external battery should be your iPhone accessory. You need to know that using the camera takes more battery power and you need to charge your iPhone again and again. Consider you are going for a long traveling distance, then you should buy an external bank. The external bank is important which allows you to capture the photos and shot videos anytime as long as possible. Using a power bank, you don’t need to worry about the battery power of your iPhone. Power banks vary in the charging capacity and start from $59.95. 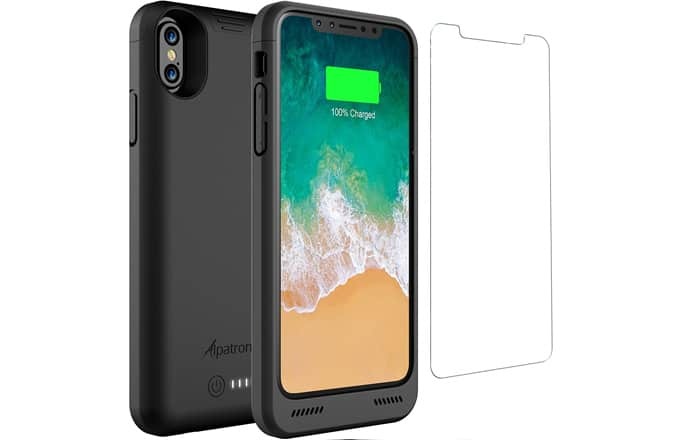 If you are looking for a high definition back camera lens film protector, then this accessory is the best for your iPhone X. With this lens, you can protect your camera from scratches without affecting taking photos. It is easy to apply and it is oil-proof, waterproof and explosion-proof. This camera lens protector has an oleophobic coating so it is easy to clean and prevents from fingerprints. So which one of these iPhone X camera accessories do you use? Feel free to leave your comments in the section below.